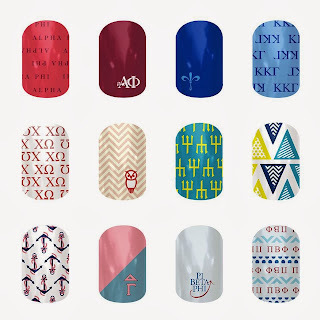 I'm predicting a RUSH on these Sorority #nailart Wraps from Jamberry! Are you a sorority girl? Perhaps a member of a Women's Fraternity? Do you love cute nails? Well... it's your lucky day! Jamberry Nails, the leader in the #NailArt industry, has just released new licensed nail wraps featuring many popular sororities! This is part of the Collegiate licensing line, that is being updated with new schools and clubs all the time! Check back frequently. I had lunch with my son today. I should have been sitting at a table of giggling 2nd graders. They would have tried to impress me with their muscles and joke telling, and maybe tried to gross me out with some bugs or ABC food. Instead, I stood at the foot of his grave. It was overcast, the same way it was the day he died. There was a cold-front coming in, and I could see dark clouds approaching. As I walked towards the "babyland" I instantly resented the fake flowers everywhere. I wished that I had thought in advance to get some, but then again coming here is always a last minute decision. I never plan to visit. Introducing... Jamberry Professional Nail Lacquer! Jamberry Professional Nail Lacquer provides 5-free* salon quality coverage, with vibrant colors that complement many of our nail wrap designs. These nail lacquers are perfect for the ever trendy statement nail, pesky pinky toes, or under any of our clear nail designs. Our Glitter Effect Top Coat is nail lacquer with multi-colored glitter specks. FEATURES & BENEFITS: Jamberry Nail Lacquers use the latest color and cosmetic technologies to enhance and beautify nails.Lacquers provide a rich and extensive palette of the widest range of colors and effects without the use of Toluene, Formaldehyde, Dibutylphthalate (DBP),Camphor or Formaldehyde Resin. Made in the USA, gluten free, cruelty free, and Vegan friendly. Hey SHARON, CT... Let's Get Lacquered Up! Come get ‘Lacquered Up!’ with us! Jamberry is launching their new line of Jamberry Professional 5 Free Nail Lacquer and will be celebrating with a nationwide launch party! Come sample this new product, pair it with nail wraps, and have a splendid time while you’re at it. These events are open to the public, bloggers and media. I am so thrilled to announce that 3 of my GLOW Girls team members have been selected to host one of 75 nation-wide parties to debut this exciting new line. Here is the Sharon, CT area event! Hey LAKE CHARLES, LA... Let's Get Lacquered Up! I am so thrilled to announce that 3 of my GLOW Girls team members have been selected to host one of 75 nation-wide parties to debut this exciting new line. Here is the Lake Charles, LA event! Hey HOUSTON, TEXAS! Let's Get Lacquered Up! I am so thrilled to announce that 3 of my GLOW Girls team members have been selected to host one of 75 nation-wide parties to debut this exciting new line. Here is the Houston, TX event!